Ends of magnesium strips ‘cropped’ to reveal 50mm mild steel core for connection to the end clamp. Magnesium ribbon clamps are made of mild steel and weigh approximately 0.75kg each. 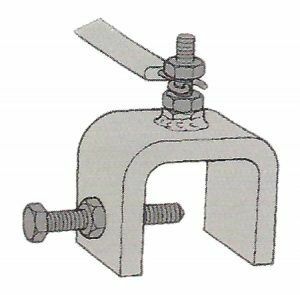 The clamp has a 50mm jaw and will fit most longitudinal bulb angles and stiffeners. 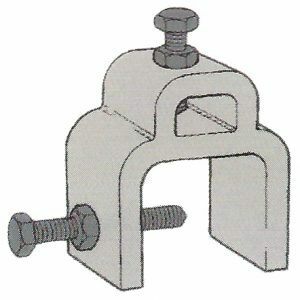 The ribbon wire and insert is held in place with a locknut and stud arrangement on the top of the clamp. The stud has a 4mm hole to accommodate the ribbon insert. 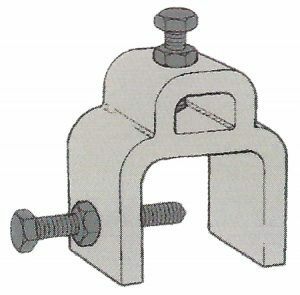 The clamp is held in place with a sharpened tip bolt with locknut arrangement. These are similar in construction to the end clamps. The ribbon is fed through the top slot and secured with locking nuts. 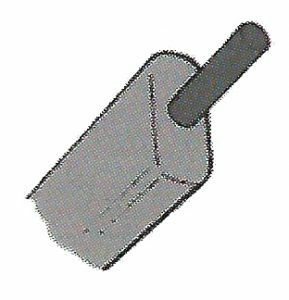 The ribbon is fed through the top slot and held in place with a sharpened tip bolt and locknut arrangement.